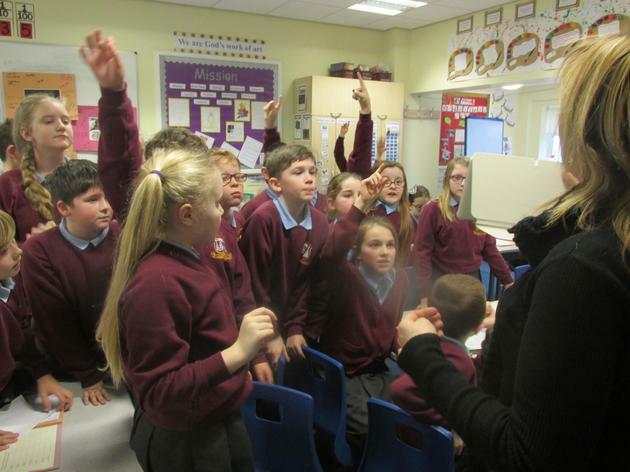 All the children in KS2 classes take part in weekly Spanish lessons with Mercedes our native Spanish teacher. 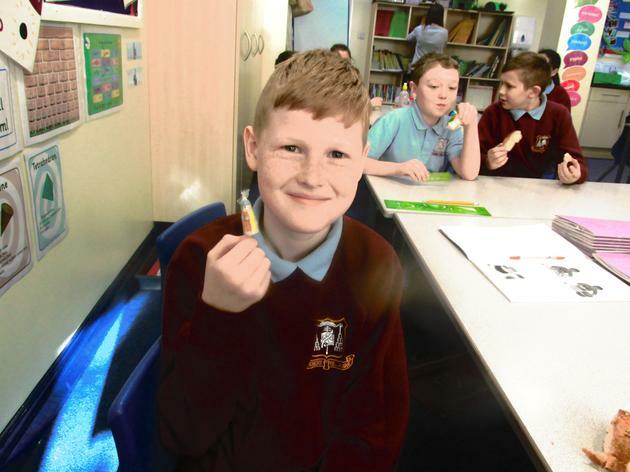 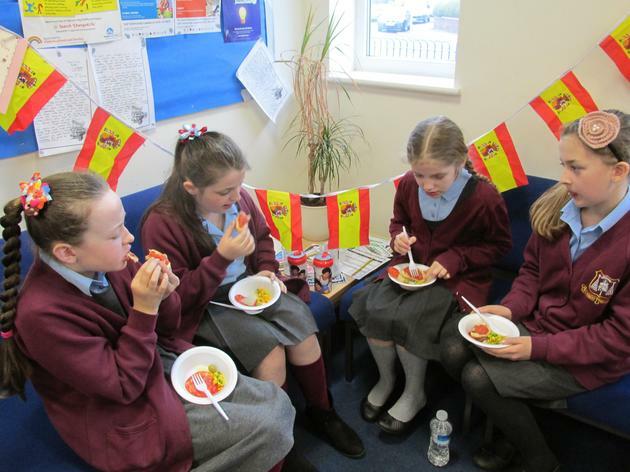 Spanish lessons provide children with the opportunity to engage in conversations in Spanish. 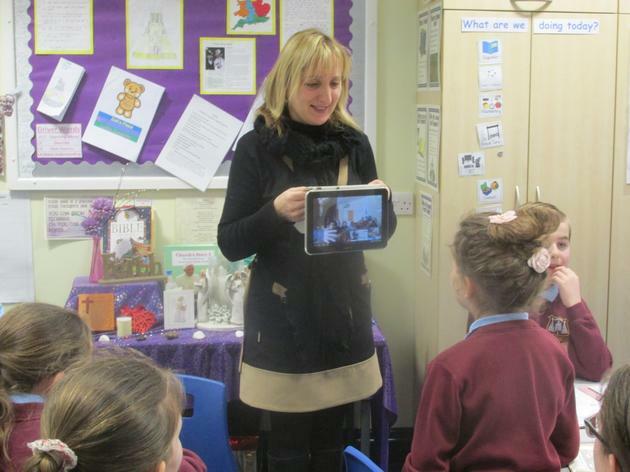 Children ask questions and can respond in sentences, practising using a variety of phrases and vocabulary. 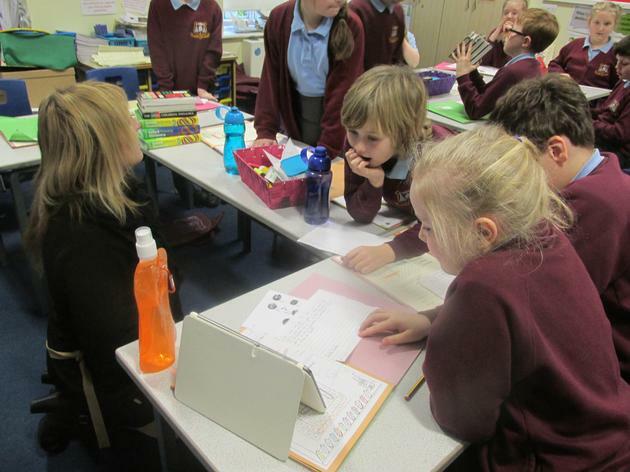 The children are speaking with increasing confidence and fluency, finding ways of communicating what they want to say. 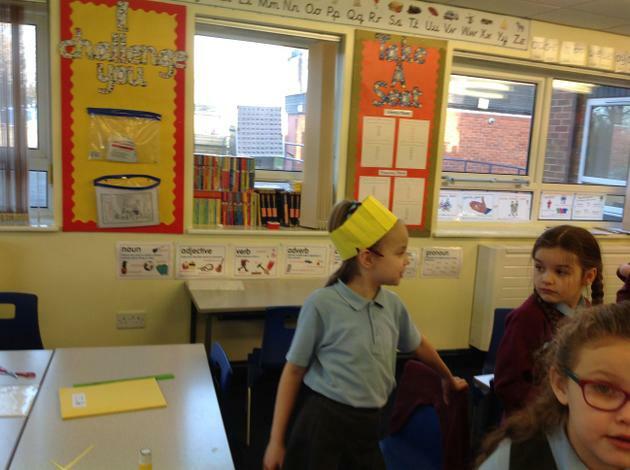 This half term children in Year 3 are learning how to introduce their pets and to describe them. 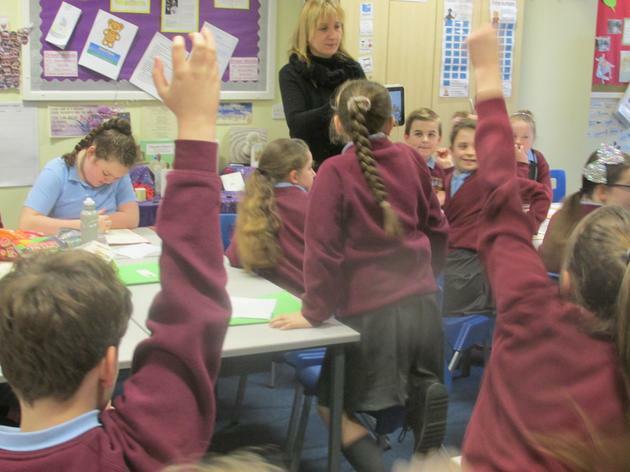 Children in Year 4 and 5 will be learning how to introduce themselves and their family members, describing their appearance and personality. 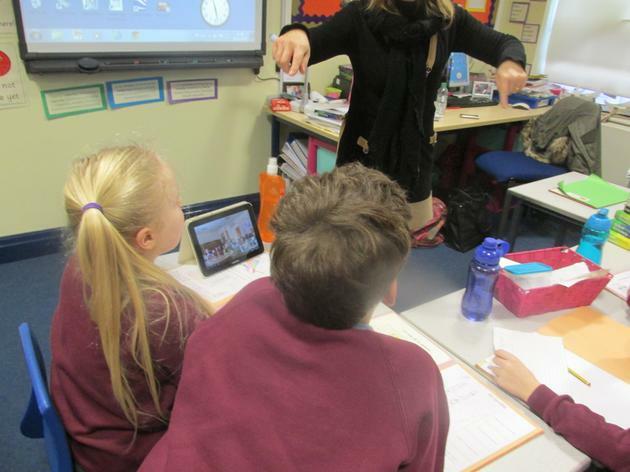 Children in Year 6 will begin to learn directions and will take part in dialogues asking where different locations are. 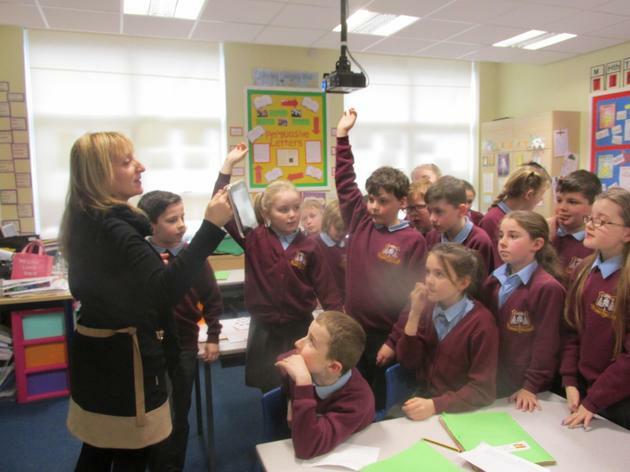 They will also name and describe a variety of landmarks in our home town Liverpool. 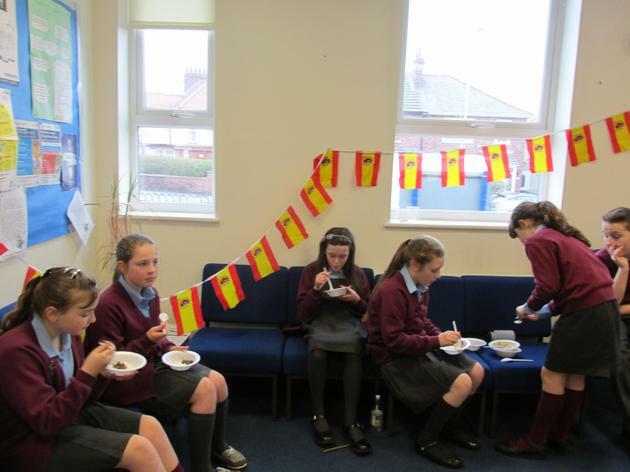 Spanish lessons also provide the children to write sentences in Spanish. 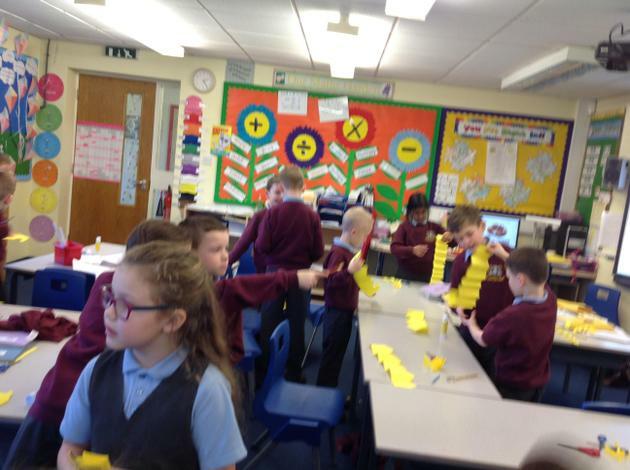 Children learn to write phrases and adapt them to create new sentences. 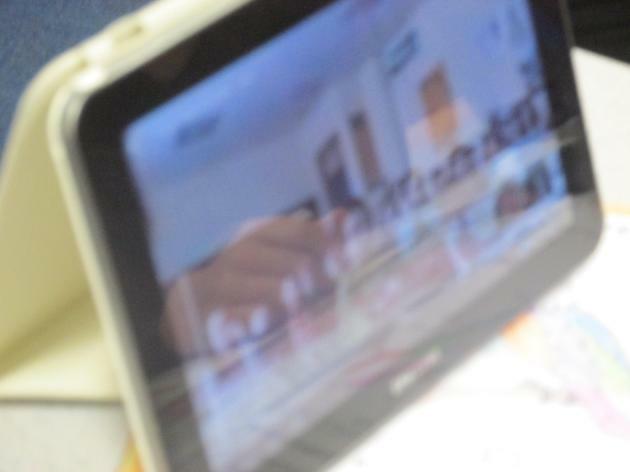 They also learn to use a Spanish dictionary to extend vocabulary to express ideas clearly. 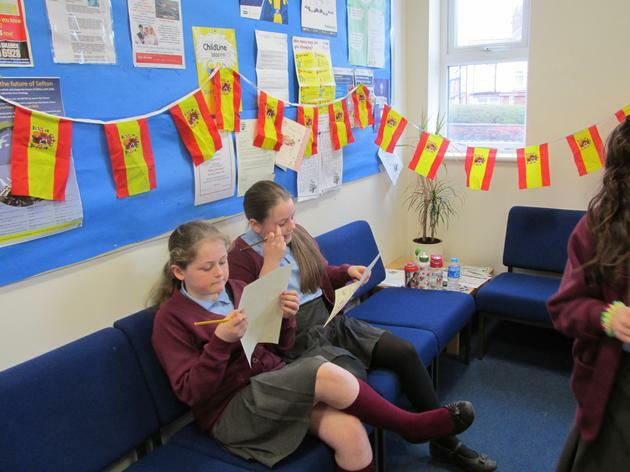 Currently the children in year six have been writing leaflets to describe our home town, Liverpool, once they are completed they will be sent to our partner school in Spain. 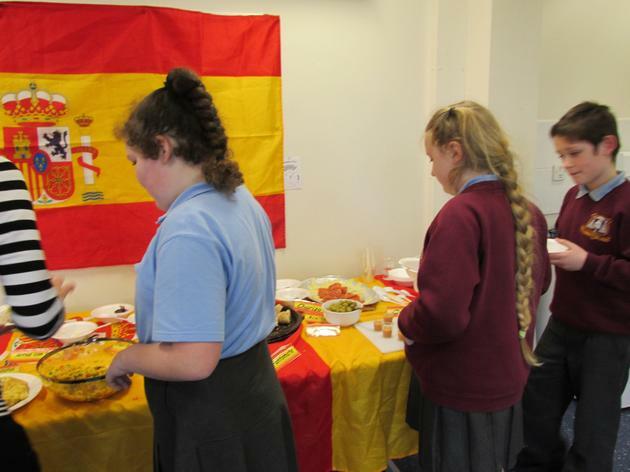 Spanish lessons also provide the opportunity to learn and appreciate another culture. 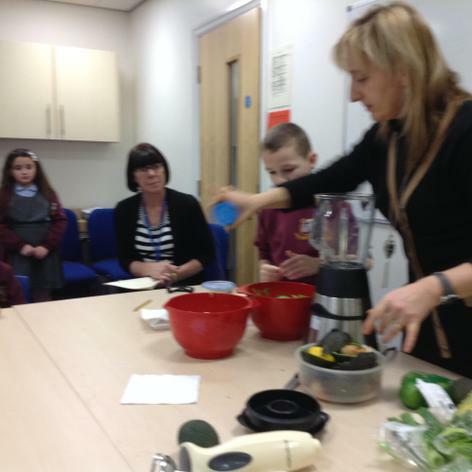 As our teacher is Spanish, there is no one better to introduce the children to traditional Spanish life. 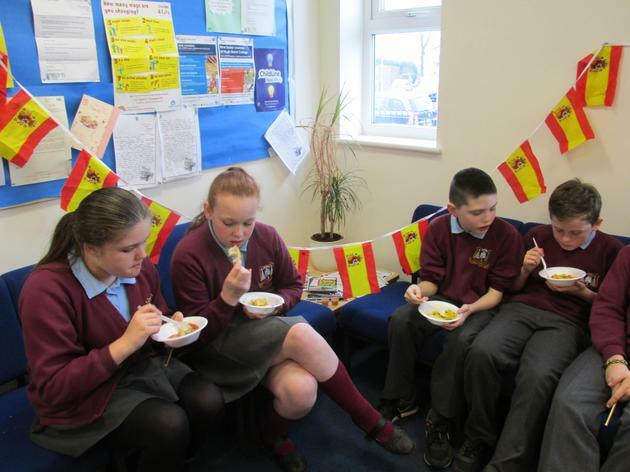 We also have a partner school in Spain who we keep in contact with throughout the year. 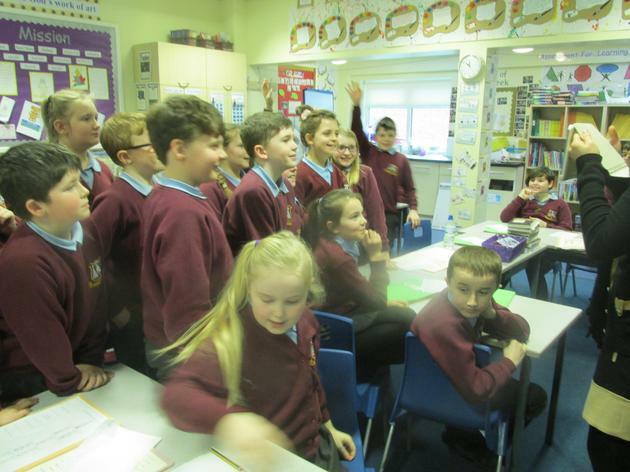 Each class prepares a card, song, information leaflet, recipe etc to send to the Spanish children, teaching them about English traditions and they respond by teaching us about their life in Spain. 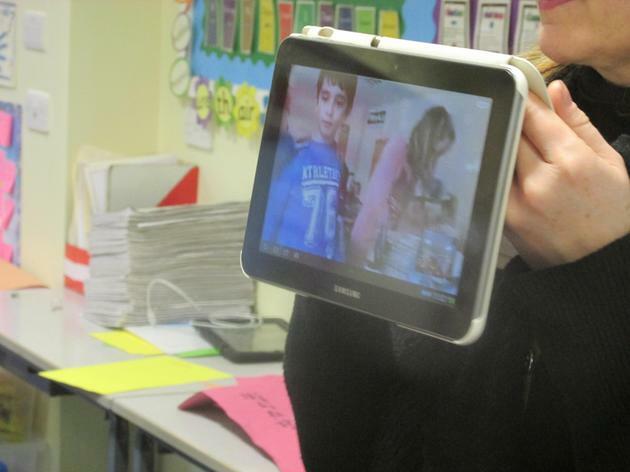 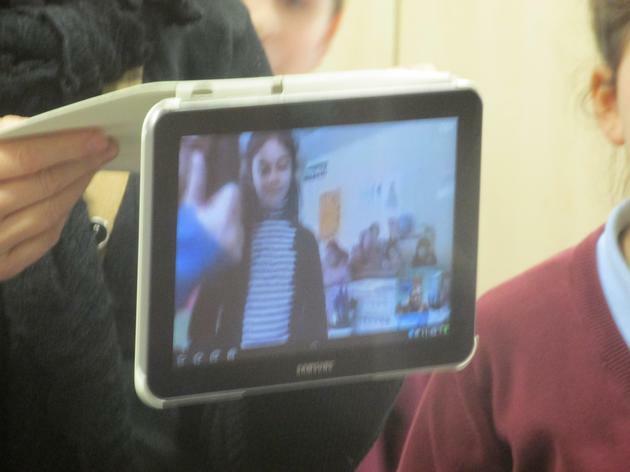 The children also use Skype to talk to the Spanish children in our partner school, in the pictures you can see the year 5 pupils introducing themselves and showing the Spanish pupils around the classroom. 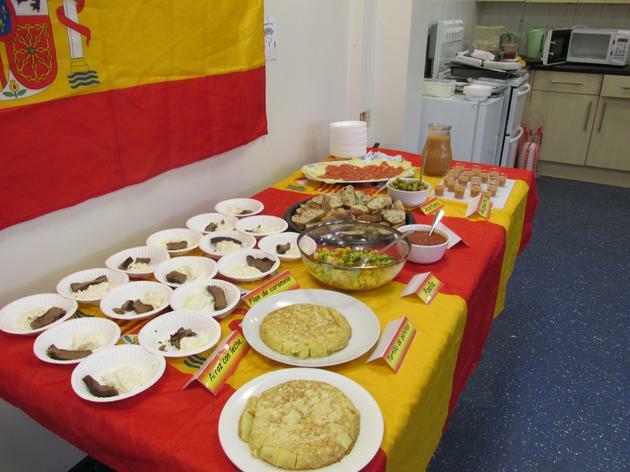 During Spanish Day the children tasted a variety of Spanish foods including: Spanish omelettes, olives, cheeses, meats, paella and gazpacho. 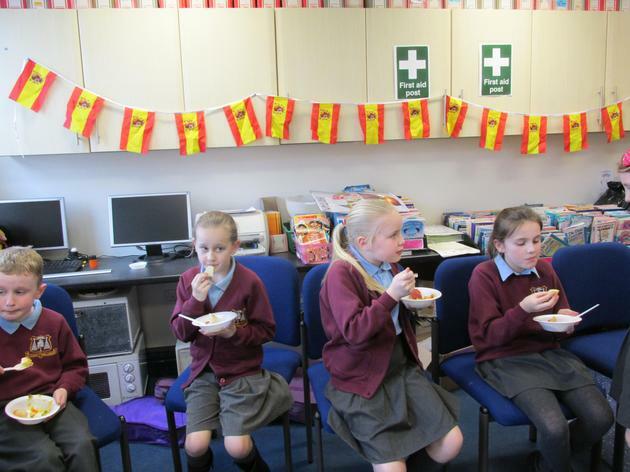 The children completed a table to record what they thought of the Spanish foods. 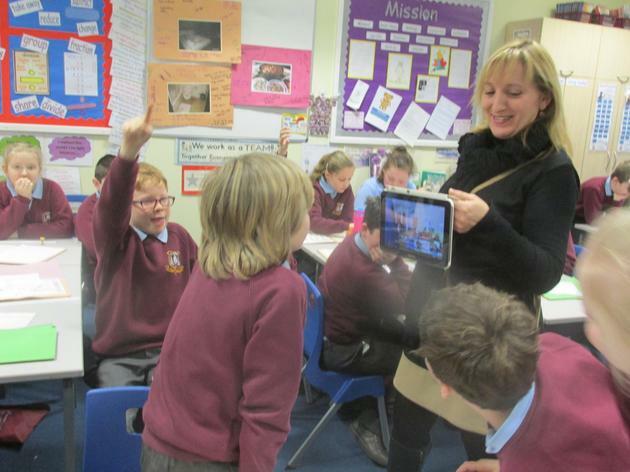 As you can see from the photographs the children really enjoyed it. 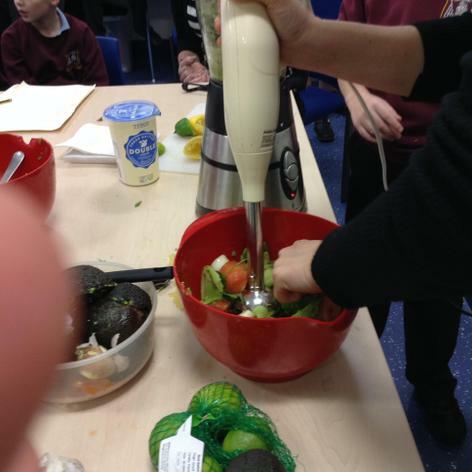 During Multicultural week, the children in Year 4 learnt about life in Mexico. 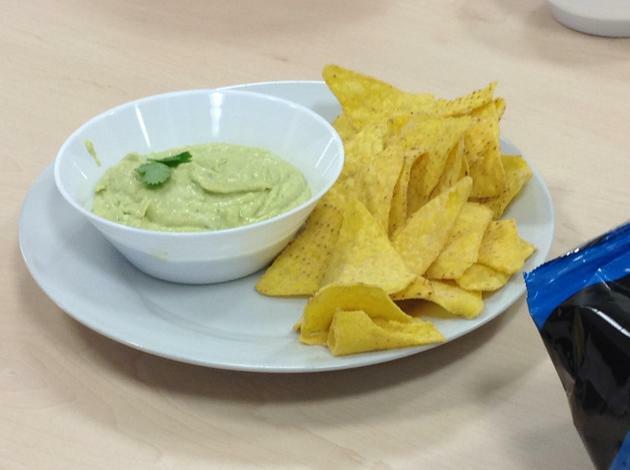 Mercedes helped us to make and try guacamole with tortilla chips. 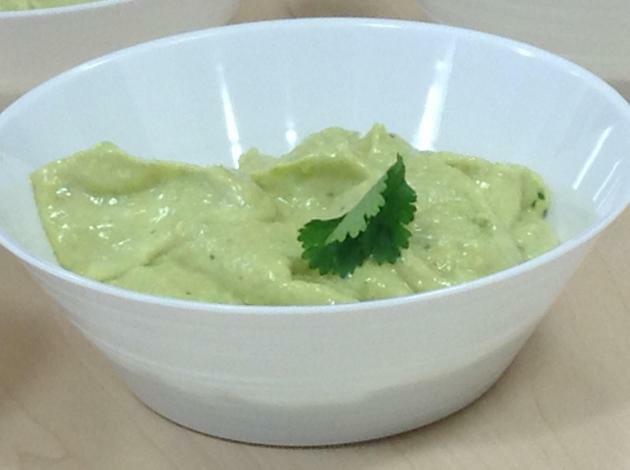 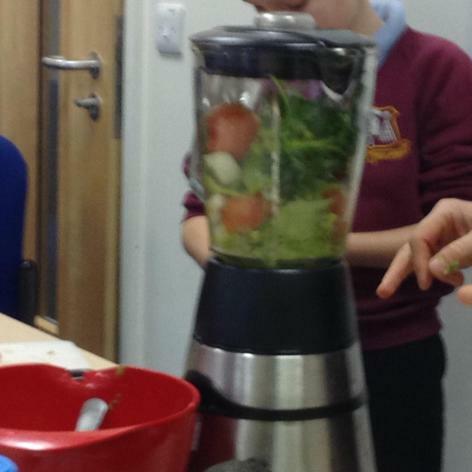 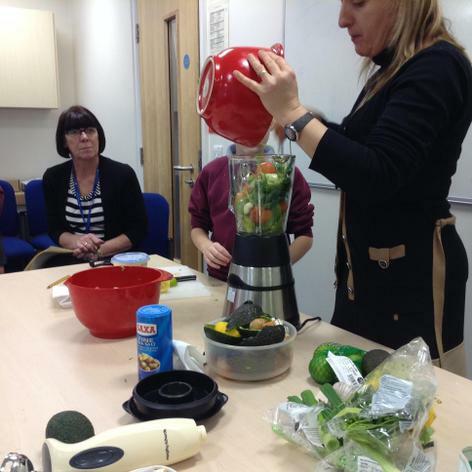 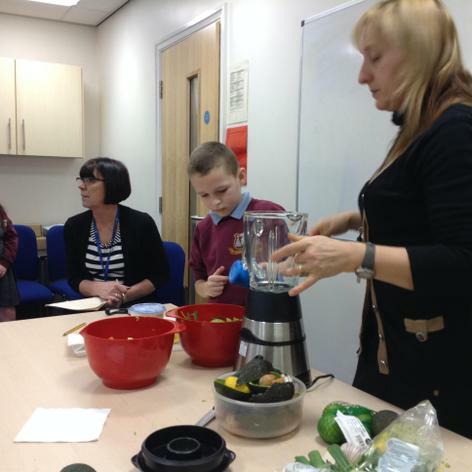 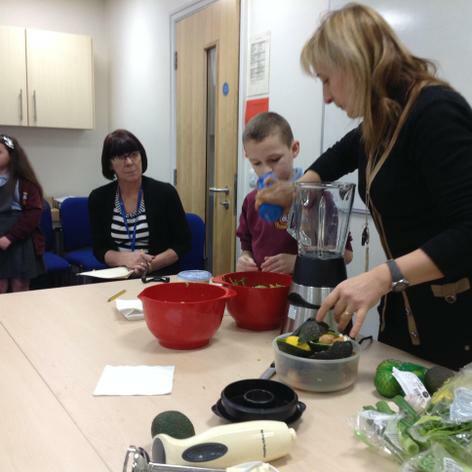 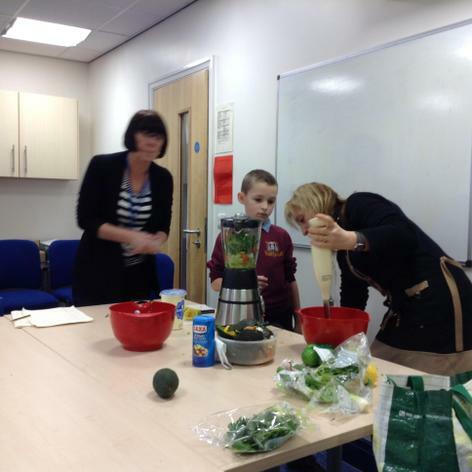 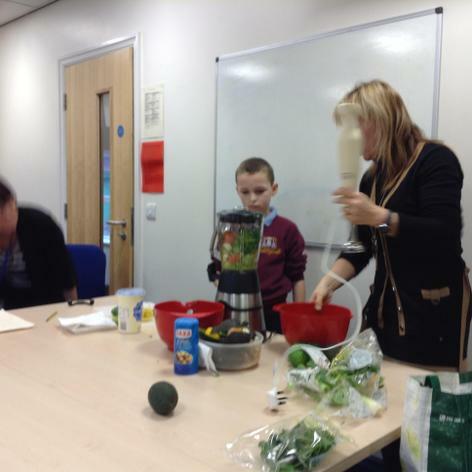 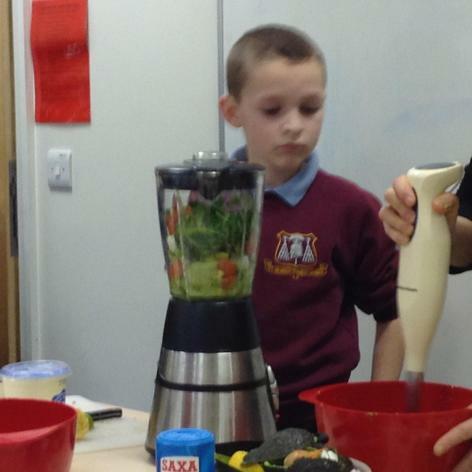 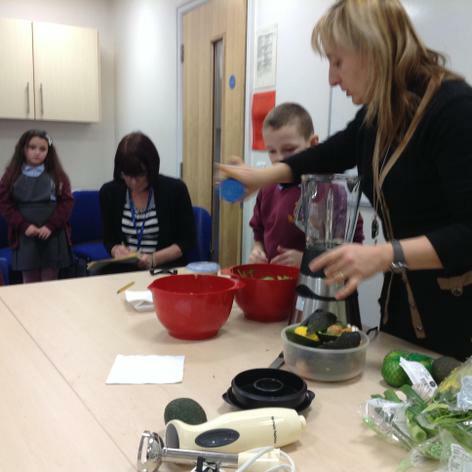 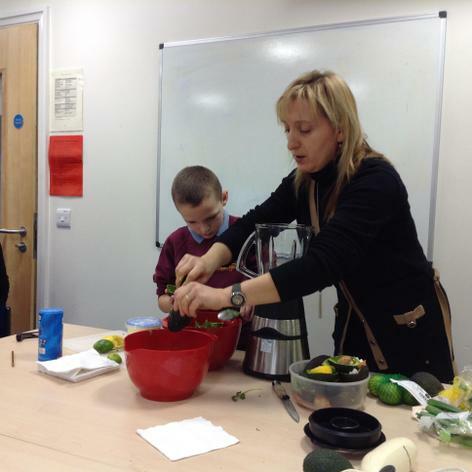 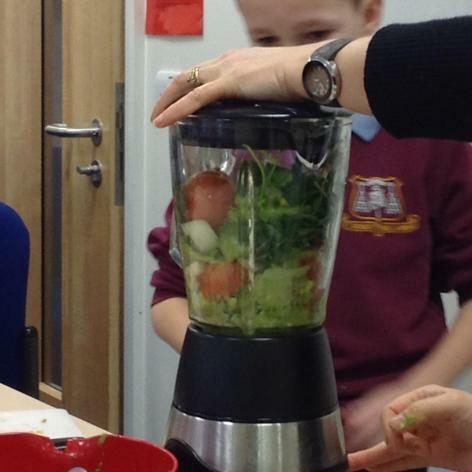 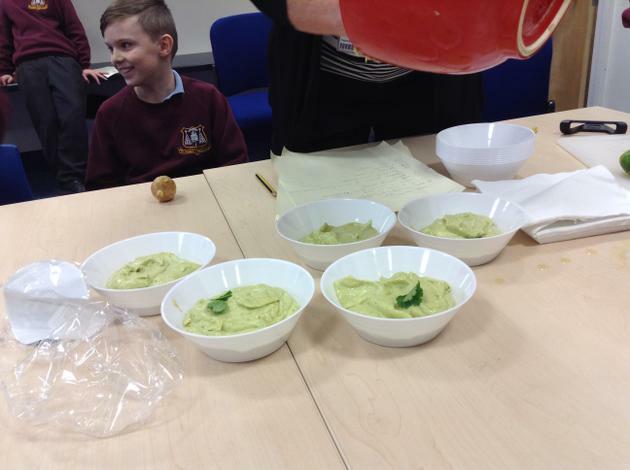 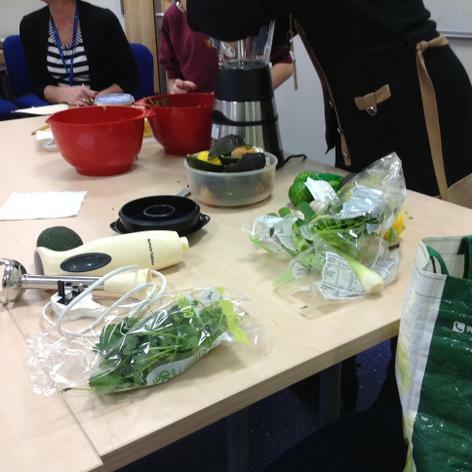 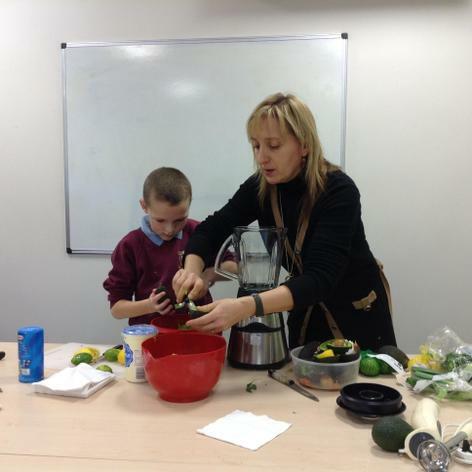 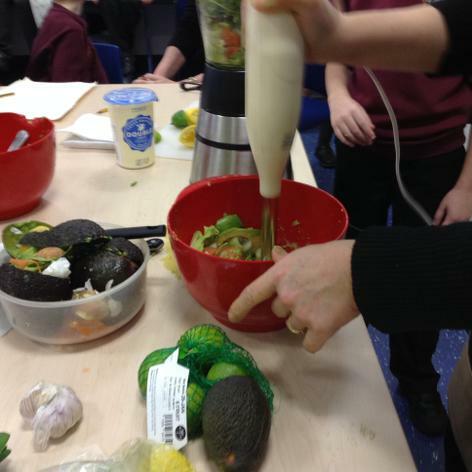 They children of year 4 used avocado, tomato, limes and coriander to make the tasty dip. 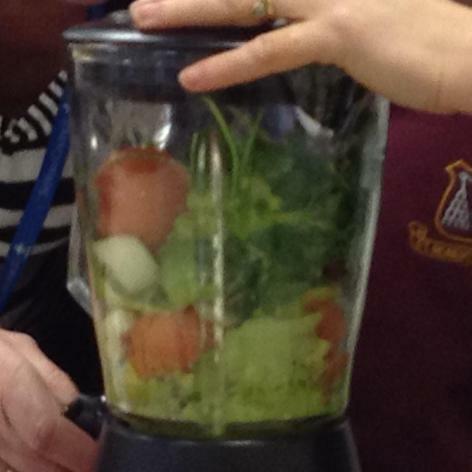 It was delicious!! 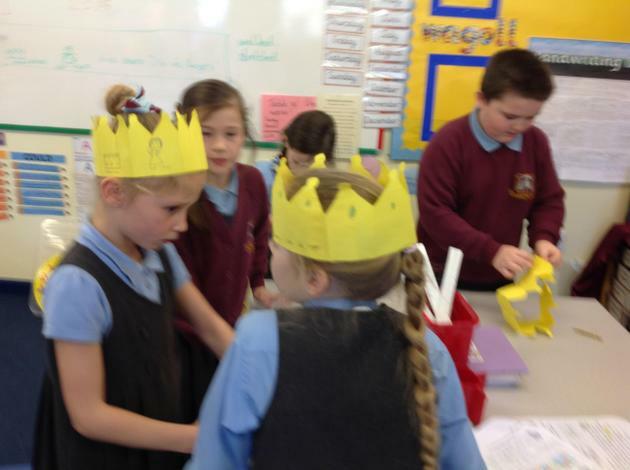 named Melchior, Gaspar and Balthazar, traveled on horse, camel and elephant to bring gifts of gold, frankincense and myrrh to give to baby Jesus. 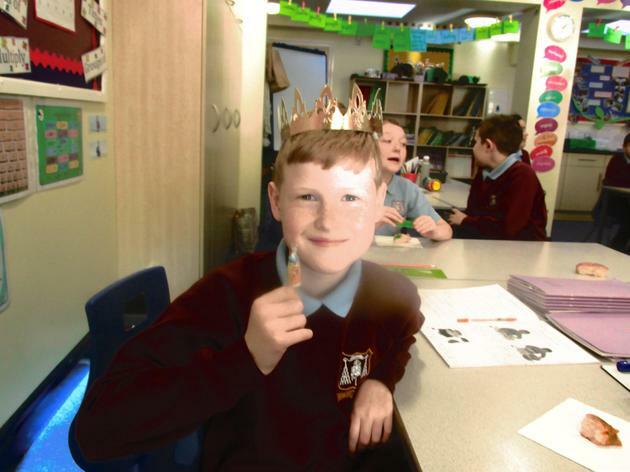 On the morning of January 6th, children wake up with excitement to a tree stocked with presents, and a Roscón de Los Reyes to eat for breakfast. 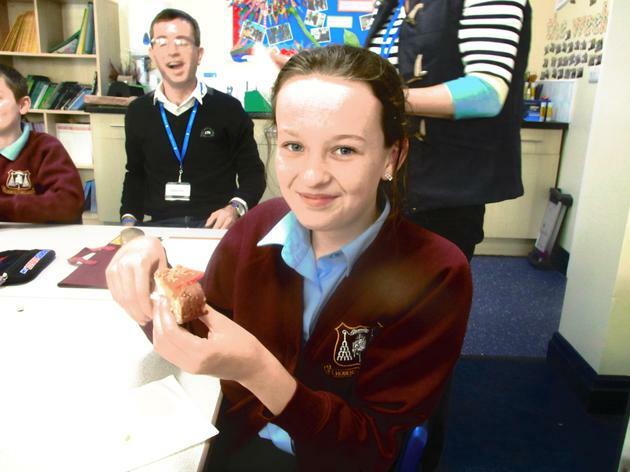 The Roscón is a donut-shaped sweetbread, sprinkled with candied fruits. 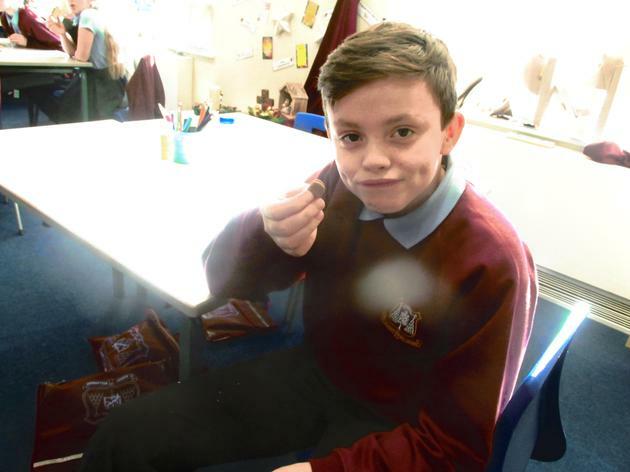 Inside of the Roscón is a figurine of baby Jesus as well as a dried fava bean. 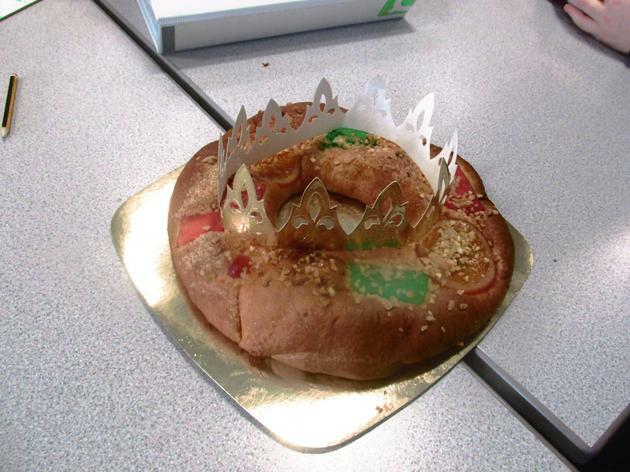 Whoever finds the figurine of baby Jesus is crowned “king” or “queen” of the house for the day, and the person who encounters the dried bean is obligated to buy next year’s Roscón. 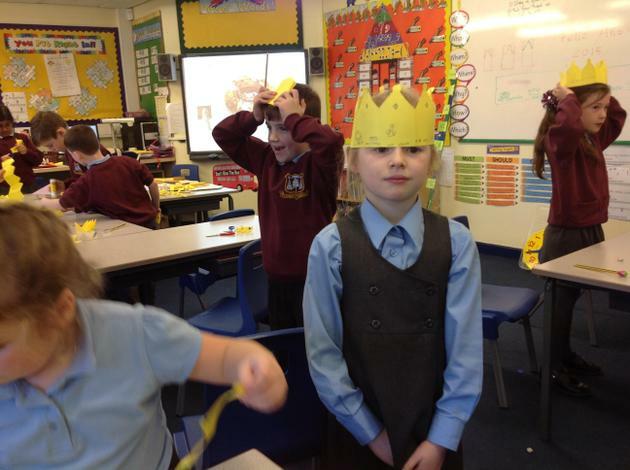 The Year 3 children made crowns to celebrate the Epiphany and to represent the 3 kings. 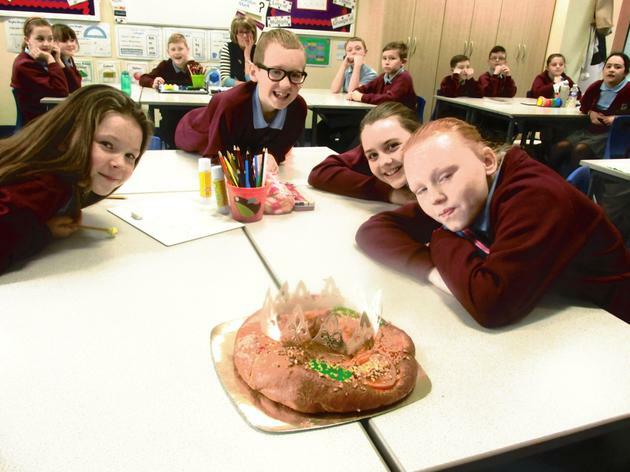 The lucky children in year 6 had the opportunity to taste the Roscón de Los Reyes. 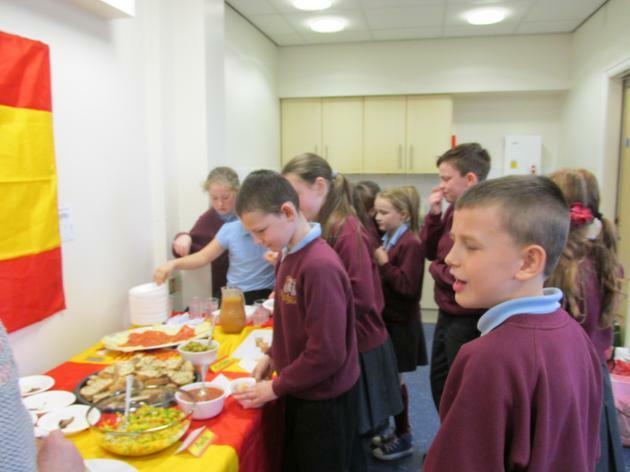 The children through it tasted lovely and sweet. 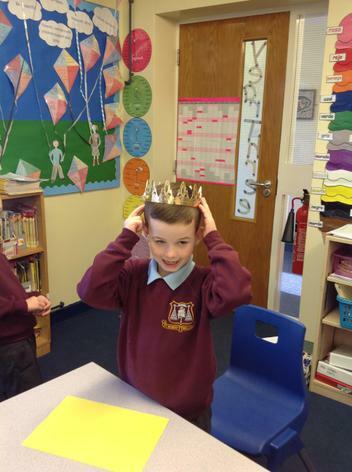 Joseph was made King for the day but poor Daniel was given the job of buying the Roscoe next time. 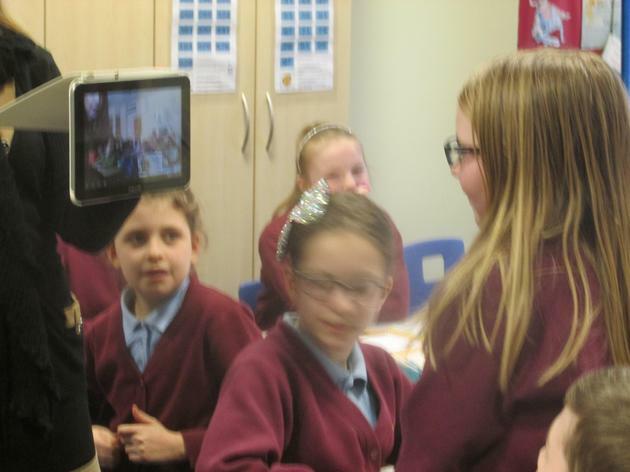 The children of year 5 recorded a traditional Christmas Carol, We Wish You a Merry Christmas and the Spanish Carol La Marmorean which is about the birth of the baby Jesus. 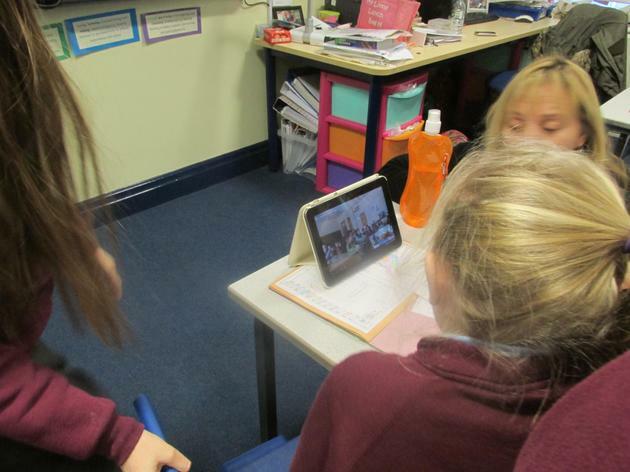 You can watch the recording we sent to Spain on the Year 5's class page. 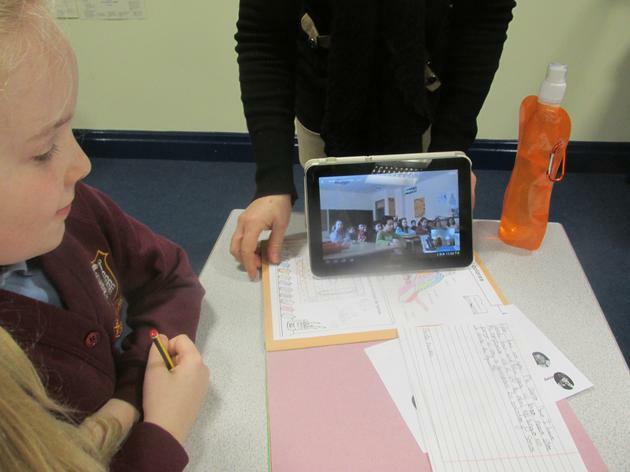 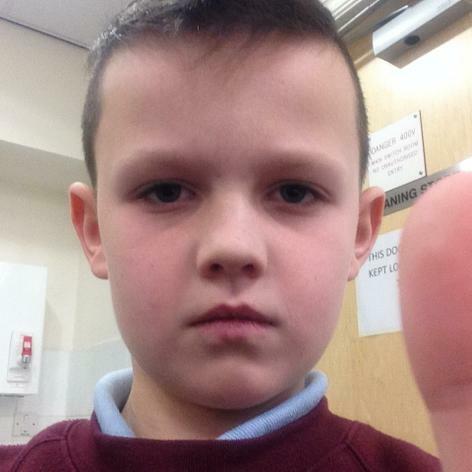 The Spanish children replied sending a video back which you can view by clicking the link below. 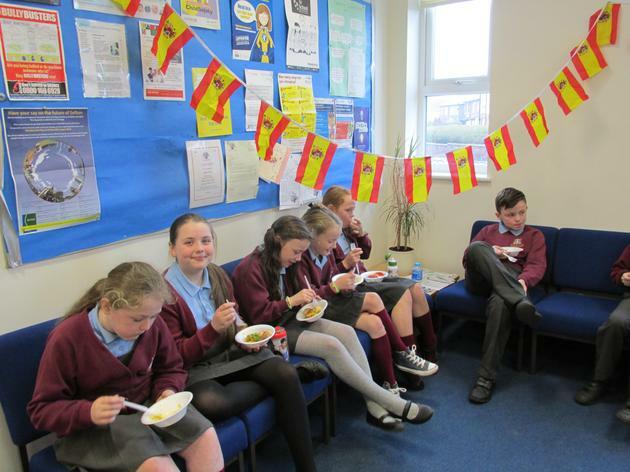 Carols from our Spanish friends.